Vote now for your Premier League Man of the Match for the Burnley v Swans game at Turf Moor on Saturday, 13th August 2016. This was the Swans opening league fixture for the season. 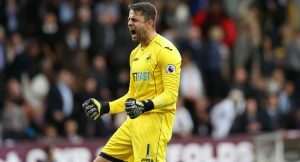 Congratulations to Lukasz Fabianski who was voted SCFC2 Man of the Match against Burnley with 43% of the votes.